In our household, serving within the Kingdom of God feels like the greatest privilege ever. I have finally figured out that any time something feels like an obligation, it doesn’t have much sustaining power. But when we do things out of the overflow of our hearts, love can’t help but spill over on people. These little shoeboxes are filled with small trinkets, toys, crayons, markers and practical items such as soap, toothbrushes, toothpaste and Chap Stick. What we take for granted much of the time in the United States is completely unobtainable in most of the countries where these boxes end up. What our American children deem to be “cool or not cool” or “babyish” are adored by these children ages 2-14 around the world. And not only are these shoeboxes filled with the items mentioned above, but they are also sent with material describing the wonderful gift that God is offering to each person in the form of His sacrificed son. 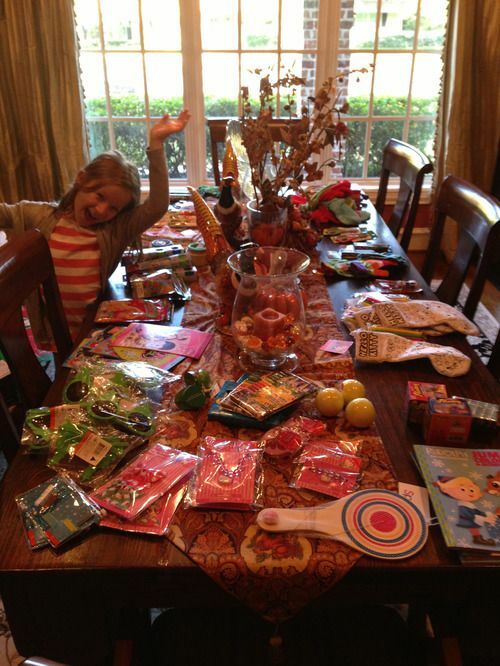 Most often, these children cannot grasp the concept of a gift because they are struggling to survive. But when they receive a gift, like this little shoebox, from someone they can’t see, they can begin to understand how an invisible, all mighty, and sovereign God can love them so much and be willing to offer them the gift of eternal life. These boxes become much more than simple Christmas gifts, they can become a chord to the hope of heaven for these sweet children and their families as well. These shoeboxes have been so effective in reaching people groups that have been unreachable and changing the lives of many children, families, villages and communities, that one particular group here in the United States is taking aim once again. Clearly these boxes are serving their Kingdom purpose as Satan tries to thwart the efforts of those wanting to participate. "The boxes of toys are essentially a bribe, expressly used to pressure desperately poor children living in developing countries to convert to Christianity, and are delivered with prayers, sermons, evangelical tracts and pressure to convert. While a private religious group is free to pursue such a goal, even through such questionable means, a public school cannot affiliate itself with, endorse, promote or support such a group's program without violating the Establishment Clause." As if “joining Christianity” is similar to joining a club. These small little shoeboxes packed with love are clearly engaged in spiritual warfare. They are penetrating darkness and lives are being changed. If they weren’t, they wouldn’t be under attack by groups who feel threatened by their message. Earlier this week during a prayer meeting, we were praying for Operation Christmas Child. The Lower School assistant principal at my children’s school was asked to share a little bit about her testimony with regard to Operation Christmas Child. I don’t have all the dates memorized, but she mentioned that sometime around 2004 she prepared and turned in a shoebox. In that shoebox she included her home address on a handwritten note. A couple years passed and she received a letter from a man all the way in Uganda letting her know that some street children that he was taking care of in his ministry had received that box a few years prior. They began to engage in written correspondence and in 2011, she made her first visit to Uganda to meet this man and these boys. She has since made more trips to Uganda and is helping in many ways. And, as divine providence would have it, one of those Ugandan boys was at our prayer meeting that night in Plano, Texas! I was blown away to say the least. Nearly nine years has passed since that small shoebox was delivered to a desperate, orphaned, street child in Uganda and there he sat in the room with us. He is a young man who is totally in love with Jesus and working to share the Good News and his story. As he smiled at my young daughter in the elevator as we left the meeting, my heart crumpled into a pile of joyful tears. All because she had packed a shoebox! 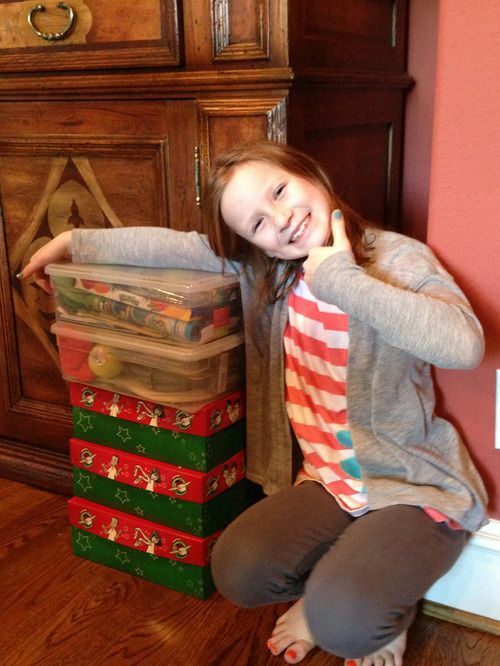 It is not too late to pack your own shoebox(es)! The National collection is going on through November 25th. 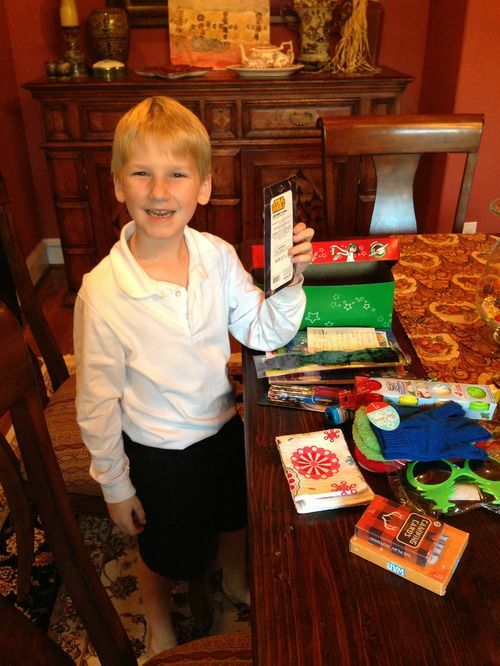 You can search for a drop-off location near you at their website http://www.samaritanspurse.org/what-we-do/operation-christmas-child/. You may never know how that box changed a life or many lives like she did, but you may one day find out in Heaven. This season, especially in America, becomes so crazy and out of control. I reminded my oldest son the other day (although I know he wasn’t too happy to receive this unsolicited advice) that Christmas isn’t just about an expected shopping spree, but about celebrating the birth of a Savior that we all need. As Thanksgiving approaches next week, I pray all of us take a moment to truly reflect on all that we are thankful for. 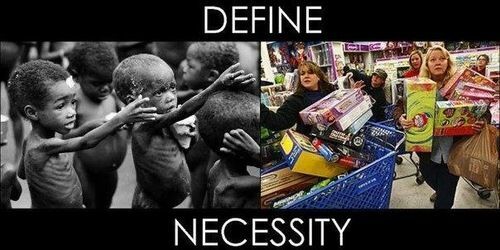 And, as Black Friday approaches, I pray that the image below is seared into your mind. It’s not about guilt of having or wanting, but instead about moderation and giving to those in need. It’s about love…even when that love comes in a shoebox.